The training wheels are off now. It's time to get tougher and endure harder races. The National A races will push you further than any race thus far. It is the final challenge before the International races come to view. National A is the set of races that will be your gateway to the tougher races. While these races are tough, they shouldn't be too tough to where winning is impossible. Whatever the case, you need to make a bold statement here if you're going to advance to the International B races. How will you make that statement? This blog post takes you into the realm of the National A races. Even though Gran Turismo is often seen as an encyclopedia of automobiles, the real pleasure and enjoyment in Gran Turismo is in racing. A literal world of cars await you with hundreds of opportunities to enjoy racing to the max. There are many more official events in Gran Turismo 6 than in Gran Turismo 5. Speaking of GT5, if you thought GT5 was more loose in restrictions, prepare for a much more limited batch of races restriction-wise. Race Events and series are limited to various amounts of Performance Points (PP). So if you enjoyed using a Pagani Zonda R to beat Honda Civics and Mazda Miatas in GT5, get ready to fight more of a fair fight in GT6. New Changes to Gran Turismo 6 Racing. There are two new twists to race events in Gran Turismo 6 compared to other GT titles. First of all, the experience system from Gran Turismo 5 is no more. You now have to collect Stars to advance. You earn a Star when you place 3rd or better in any official race. If you just finish a race (meaning finishing 4th or worse), you earn a Star. Obviously, you want to get the maximum three Stars. How do you get those three Stars? Simple- win the race! Even though it is easier said than done to collect the maximum three Stars for each race, it is not impossible, either. You don't need to clear every race to advance to the next class of races. As long as you unlock the License Tests, all you need to do to advance to the next set of races is to clear all of the License objectives to go to the next set of races. You need licenses to unlock other races and other features of the game, such as Seasonals and being able to race in Online Lobbies. So if you want to have a chance to complete Gran Turismo 6, earn your licenses to give yourself the best chance to complete your legacy! It used to be that you could compete in an individual round of a championship. In Gran Turismo 6, you must compete in a Championship and win that Championship to be able to compete in an individual race of that specific Championship. Races of Gran Turismo 6 Lineup. There are a total of 573 stars to obtain. Races other than the official events (such as Coffee Break Challenges and License Tests) do not reward Stars. I want to document the races to help you reach that 573 Star mark. To help you get to that mark, let my guide help you. Keep reading to check out the races of GT6! 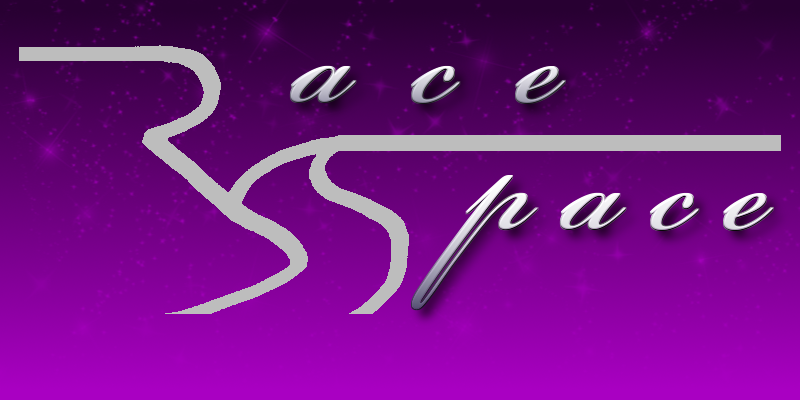 ^ A host of world-class race tracks, such as Willow Springs International Raceway, await you in the National A ranks. The last of the National-level races is in the National A class of competition. Every Race Event features three races except for the final event, which is a five-race championship. All or almost all of the races feature as many as 10 cars to a track, your car included. Deeper fields of cars mean more interesting races and more challenging races. Work as hard as you can to fight through the pack. It will not be easy, but it isn't impossible. So do your best! You need 20 Stars in this series to qualify for the ability to acquire your International B License. Let's go to work! You know these races are going to be harder than what you faced in the National B races, so don't think you're going to waltz through these races with ease. Things are about to get tougher. If you're not ready to take on this challenge, you're in for some serious trouble. Get ready for some tougher and longer races in this lineup of events. Each heading introduces you each set of races. Single Race events have a period, and Championships have exclamation points. "A more advanced version of the Clubman Cup, in which cars with around 500 PP compete. As well as the cars being a step up, the drivers you'll be racing against will be more experienced, too." Cars within the range of 500pp will be the opposition. For you to survive, you'll need to bring a car as capable as the ones you will be battling against. Each race is three laps long on three quite unforgiving courses. You'll be taking on some new courses, including Mount Panorama Circuit- better known as Bathurst. Strap in... you're going for a wild ride! Bring a car within the limits of 500pp to 600pp to be competitive here. "A series of races held exclusively on nighttime tracks. Have fun driving without the aid of daylight!" Night racing is a unique challenge. The sun will go down, and the stars will come out. What you are looking at is a race series where your ability to navigate through darkness will determine whether you win or lose. If you think night racing is easy, think again. Racing in dark conditions means you'll have to rely on your car's lighting to see around tracks. You also have the aid of lighting around certain parts of the track to see. Road racing is especially difficult in night racing. You have to be able to know the track and hit your braking points. This will not be an easy set of races. You can still pull out a victory if you drive consistently and properly across all three tracks. "A race event held in the Gornergrat - an area commanding a breathtaking view of the Matterhorn, one of the world's most iconic mountains. Any car can enter, as long as it meets the race requirements. Get ready to tackle the steep corners that await in these intricate tracks." Of the new courses, the Matterhorn tracks will be the tracks you will race on here. Mastery of all three courses depends on your ability to properly take on this new challenge. Each of the Matterhorn courses have narrow roads and some brutal elevation changes. Learn all of the tracks and the respective character of each course. As you learn, try to make the most of mastering all courses and pull out wins. This series should be a learning experience for you. Most of the cars you will be up against are rally cars on street tires. Any car that meets the PP and tire requirements will do just fine. For example, I used the 2013 SRT Viper in my runs around these tracks and won all three races, though I did have to come from behind after spins and hard hits. Do your best to get victory here. 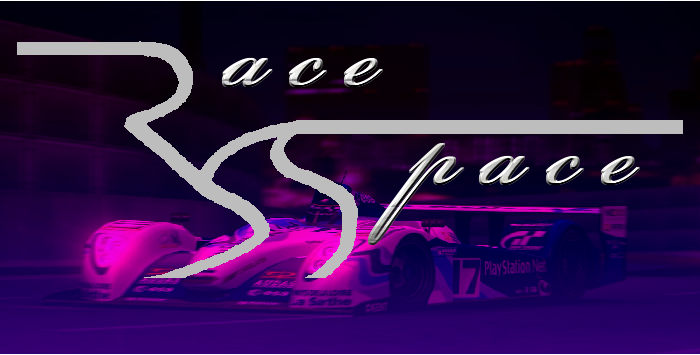 "Races for those who drive Gran Turismo Racing Kart 100 vehicles. Make good use of your rear-wheel-only brakes as you aim for victory!" You are asked to bring a kart to this set of races. Not just any kart, though- you'll need either of the two Racing Kart 100 models from the Gran Turismo dealership. These karts have more powerful engines than the Racing Junior Karts. Laps will fly by quickly. If you are challenged about anything regarding this race event, you will be challenged to make as few mistakes as possible if you figure to win any of the three races here. "A race event exclusively for cars with naturally aspirated, or NA, engines (engines that use only natural airflow). Have fun with these highly responsive machines." The first of two aspiration-limited races is with normally-aspirated cars. They don't need assistance from any turbo parts. You are looking at cars that make their power with pure engine power. Do you have a powerful enough normally-aspirated car to win on the three world-class courses you will be racing? If you do, then you'll get those maximum three Stars for each race. This race series is all about power from normally-aspirated cars. So get a competent car already! NOTE: Only normally-aspirated (NA) cars are allowed to compete. If you equipped a car with a Supercharger, your car will not be eligible to compete in this series. Uninstall the Supercharger you bought for your NA car to be eligible in this championship. Supercharged cars can not compete in this series. "A series of races for cars fitted with turbochargers. Enjoy the explosive acceleration only a turbo can deliver!" Turbo power is what this series is all about. Listen to the distinct sounds only turbos can provide. You're going to enjoy turbo power in this three-race set. This series features some of the most powerful turbo cars within the Performance Point limit of 550. Races here are on some twisty courses with plenty of elevation changes. Find a powerful-enough car that can take on the tough corners of these tracks, and you'll do just fine. NOTE: Only turbo (T) cars are allowed to compete. No Superchargers or supercharged cars are allowed to compete in this series. "A series of races for rear-wheel drive cars with mid-mounted engines. The nimble handling of these pure sports thoroughbreds will take your breath away!" Bring mid-engined cars with rear-wheel drive to this set of races. Mid-engined cars are renowned for their incredible handling prowess. Care is needed with mid-engined cars because they can be fragile driving machines if you don't drive them carefully. It can be too easy to slide the rear end out without having control of these beasts. "A series of races for cars whose engines power all four wheels. It's time for some power-heavy driving!" Traditionally, a car equipped with four-wheel drive (4WD) is not considered good for road racing. However, they are very perfect for off-road racing. You will be racing only 4WD vehicles. They combine the traction of front-wheel drive with the explosive acceleration of rear-wheel drive. What you get is a drivetrain that is very much worthy of handling almost anything. If there is a weakness, 4WD cars are usually heavy cars because of the extra weight of the 4WD parts. Prove your road racing ability with 4WD cars to complete this series. "A race event exclusively aimed at electric and hybrid cars, powered by both battery and motor." NOTE: If you look at the Eligible Cars, you will likely need to tone down the horsepower substantially if you plan on using any cars from Tesla or Fisker. The PP limit is 400. You are better off getting a car like the Nissan Leaf or the Honda CR-Z (which I used) for this championship. "An exclusive Italian-cars-only event. Take to the track in luxurious Italian style!" This is a special party of speed where only Italian cars are allowed. Bring a car within the Performance Point limit of 500PP to enjoy racing in this championship. You will be racing on two Italian courses and even take on the streets of Monte Carlo. Look to companies like Alfa Romeo, Lancia, Maserati, and even Ferrari for that Italian rocketship that will help you clear this series. "A race event aimed at hot hatches, a type of car popular in Europe. Any cars can enter as long as they are both European and below the PP limit." While this race series is about European hot hatchbacks (hot hatches, of course), the championship description insists almost any European car can enter. This is another loophole you can expose if you want an unfair advantage. If you want to be fair, however, get yourself a REAL hot hatch- like the Volkswagen Scirocco R, the Renault Clio (FWD or the mid/RWD variants), the Renault Megane, or the original hot hatch... the Volkswagen Golf. Your opposition will all be Euro hot hatches regardless of what car you use for this set of races. "An event exclusively for German cars that attracts all manner of flawlessly engineered, high-spec sports machines." German cars are welcome in this championship. You will be going from the confines of Cape Ring to the massive 12.9-mile romp around the Nürburgring Nordschleife. Go pay a visit to any German car company to get a competent car for this set of races. If you note the PP limit of 560, you may be tempted to buy a car like the Audi R8 road car. "An event for American cars made in 1980 or earlier. Time to burn some serious rubber!" Get ready for a championship all about American muscle. That's right. Only American cars and American car companies can compete in this set of races. While it is about American cars, you need to have American cars built in 1980 or earlier, and they have to be within the PP limit of 600pp. You'll be racing in California and even in Switzerland. Rock your American muscle here to win. Be careful in this championship! Even though the intent is on muscle cars, the field may feature the Ford GT40, giving a completely unfair advantage. I may recommend you save up your money and get your own Ford GT40 to have a fair chance at collecting the maximum three stars for each event. You may also opt for either of the Shelby Cobra models. "This five-event championship is the jewel in the crown of the national racing scene. Demonstrate the power of perfection, and open the door to the world stage!" This is the World Championship of Gran Turismo racing for your current level of experience. You will be racing on five intense race tracks as you try to emerge into the realm of the International-level races. If you want to equate this to education, then winning the Gran Turismo National Championship is like going from grade school to college. If you're going to "graduate," you'd best do it by bringing a capable car while showing your racing skill on the five courses of this championship. You must have at least 20 Stars to qualify to get the opportunity to earn your International B license. You must have an International B-license to compete in the next series of races. That is all. 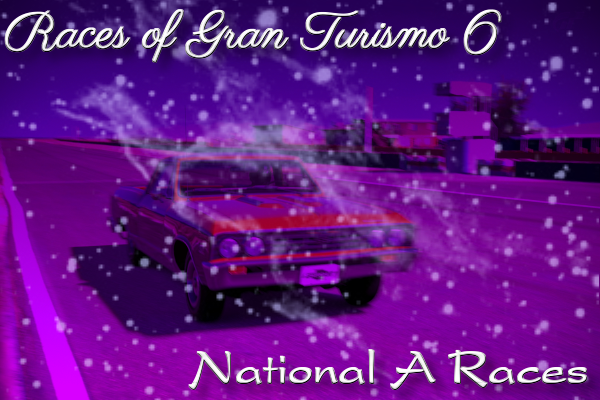 I want to thank all of you for reading this blog post and getting a look at this resource for Gran Turismo 6. Thank you for reading!